Firm must pay more than $4 million in restitution, and was censured and fined $2 million. Santander didn't change the bonds' risk classifications after they were downgraded, FINRA said. The Financial Industry Regulatory Authority on Tuesday ordered Santander Securities LLC to pay more than $4 million in restitution to customers who were sold Puerto Rican municipal bonds, and also censured and fined the firm $2 million for supervisory failures related to the bond sales. Santander Securities LLC must pay approximately $4.3 million in restitution to certain customers who were solicited to purchase the bonds and also pay restitution of $121,000 and make offers of rescission to buy back the securities sold to certain customers impacted by the firm’s failure to supervise employee trading, FINRA said. 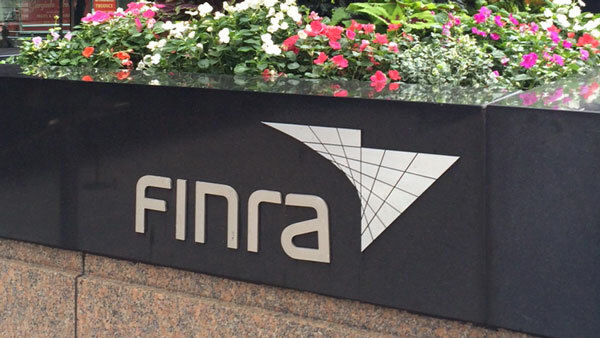 FINRA also censured and fined Santander $2 million for supervisory failures related to sales of PRMBs and Puerto Rican closed-end funds, and for failing to reasonably supervise employee trading in its Puerto Rico branch office. Santander neither admitted nor denied the charges, but consented to the entry of FINRA’s findings. “This is a strong reminder to firms that they must focus on customers’ exposure to market risks and suitability, particularly in those markets like Puerto Rico that present unique risks and challenges,” said Brad Bennett, FINRA’s executive vice president and head of enforcement, in a statement. Between December 2012 and October 2013, Santander did not ensure that its proprietary product risk-classification tool accurately reflected market risks of investing in PRMBs, and failed to adequately supervise its customers’ use of margin and concentrated positions in their accounts, according to FINRA. “The firm’s systems and procedures did not require a review or assessment of its product risk-classification tool, used by Santander’s representatives when recommending products to customers, to determine whether it factored in the changed risks of investing in PRMBs,” FINRA states. The day after the Moody’s downgrade, Santander stopped purchasing PRMBs that its Puerto Rican customers wanted to sell and accelerated its efforts to reduce the firm’s inventory of PRMBs, FINRA says. FINRA also found that Santander failed to reasonably supervise employee trading in its Puerto Rico office “with a view toward mitigating potential conflicts of interest where customer orders were filled through positions held in their own broker’s personal brokerage account.” Because Santander did not have adequate systems in place, approximately 400 of these types of transactions went undetected.